Did You Know Coco Martin Appeared In This GMA-7 Show Before Becoming An ABS-CBN Star? Let's rewind to the year 2007. 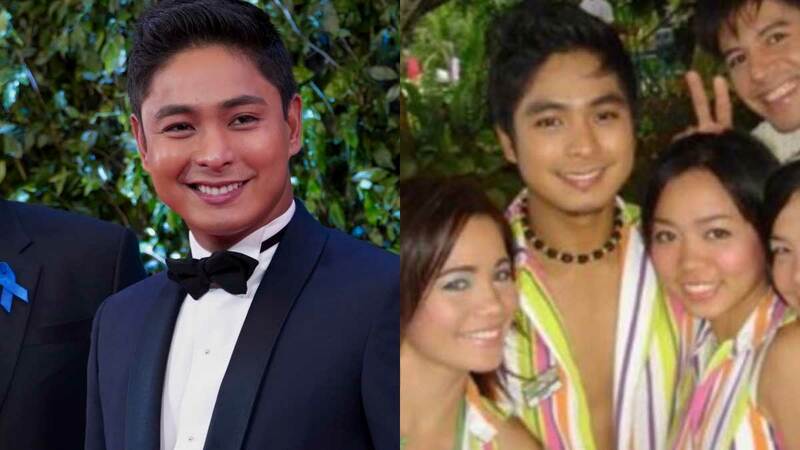 Did you know that before he became a talent of ABS-CBN, Coco Martin did a show in GMA-7? Coco was part of Daisy Siete's 15th season presentation in 2007 titled "Isla Chikita," where he played the leading man of Rochelle Pangilinan. Daisy Siete was Sexbomb Girls' seasonal drama anthology that aired from 2003 to 2010. Rochelle, who usually plays the lead character in each season, took a trip down memory lane and posted a behind-the-scenes photo with Coco, Arthur Solinap, and other Sexbomb girls. Rochelle wrote in the caption, "Nung mga panahong... (laughing emoji) #hubby #daisysiete #bagets #sb #luma #single #photobomb #photobomber #epic"
After Coco's Daisy Siete stint, he transferred to ABS-CBN in 2008 and joined the afternoon series Ligaw na Bulaklak. He was then given a big break playing major roles in Tayong Dalawa (2009), Nagsimula sa Puso (2009), Kung Tayo'y Magkakalayo (2010), and iDOL (2010). In 2011, Coco top-billed his own series Minsan Lang Kita Iibigin. This was followed by other hits such as Walang Hanggan (2012), Juan Dela Cruz (2013), and Ikaw Lamang (2014). His prime-time series, FPJ's Ang Probinsyano, has been airing on ABS-CBN since it premiered in 2015.